This pretty flower, which grows in large clumps in suitable damp hollows and other moist spots, is very similar to King's Crown (Rhodiola rosea) that grows in similar habitats. The difference is in the colour of the flowers, with Queen's Crown being rose pink and King's Crown a deeper more orangey brick-red. The two plants flower at the same time - from July onwards. 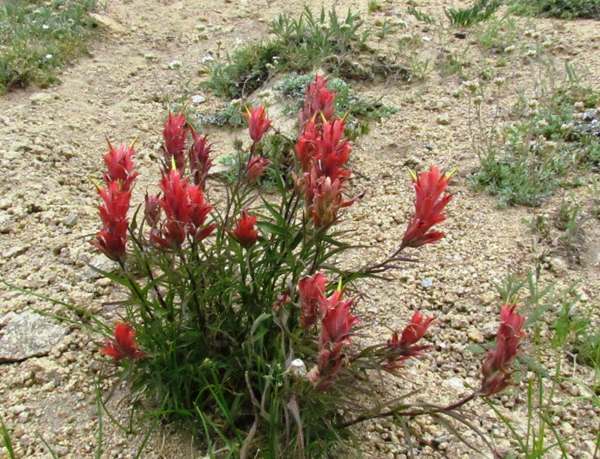 They are also both plants of high subalpine and alpine habitats and grow in the western mountains of North America. The specimens on this page were photograhed in early August in the Rocky Mountain National Park. This plant is very close related to Roseroot (Sedum rosea), a plant with greenish-yellow flowers which grows on high ground in parts of north and west UK. It is well known from Snowdonia in Wales, but is locally common in mountains and on sea cliffs in Ireland, Sotland and in the north of England.